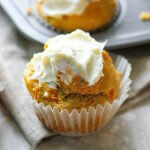 Savory/sweet sour cream carrot muffins ready in 30 minutes! Less sugar and more nutrients! 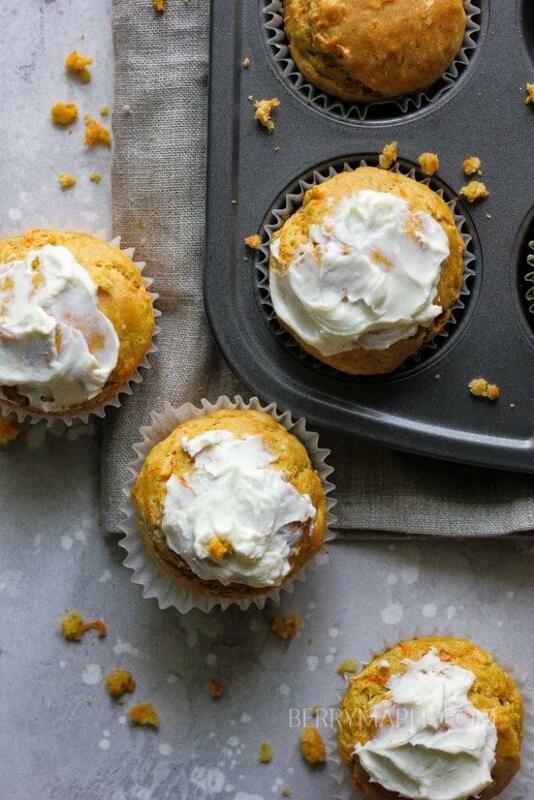 We like to have this muffins for breakfast. Mornings are getting colder here in California and its so hard now to wake up and drive my daughter to preschool at 7am… I am trying to grate carrots in the evening so when i get back from preschool, all i have to do is to throw all the ingredients in a large bowl, mix and bake. Easy! Carrots are so good for you. Few years ago i was obsessed with growing my own carrots on our backyard. They were so juicy and sweet, not sure why i don’t plant them anymore. Probably because we leave the country for travels every summer, and i have nobody who would take care of my plants while i am overseas. Mix egg with sour cream ,add sugar, cream and butter. Add all dry ingredients and stir. Add shredded carrots, stir very well. Combine cream cheese and powdered sugar. 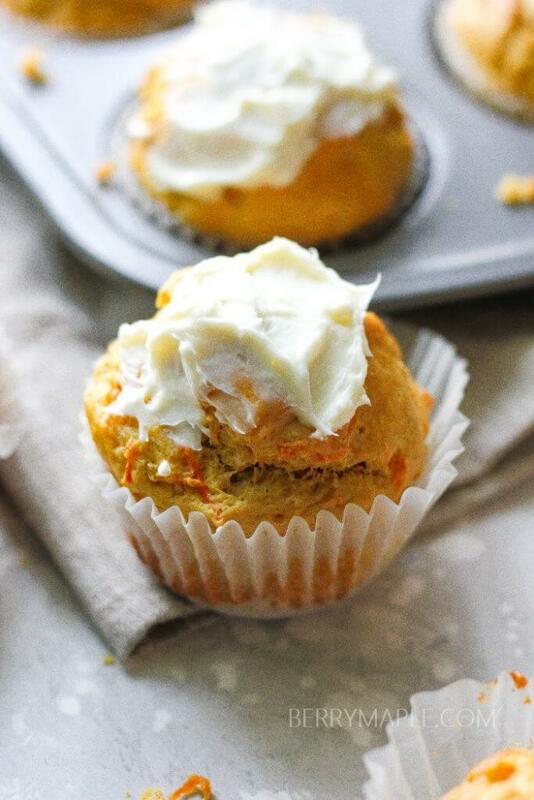 just using a fork and then spread it on your carrot muffins.